Here’s what’s happening in the Huntsville/Madison area and in most of the U.S. Most players learn soccer first and futsal later, which can make learning futsal a little harder. It can even be somewhat overwhelming to some players because futsal is so much faster than soccer and is played in a much smaller space (about 20 by 35 yards), on a smooth floor, with a smaller ball, a futsal ball that rolls very fast, smaller goals, yet resulting in higher scoring games. 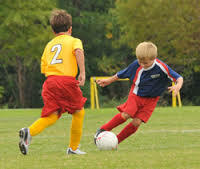 From this perspective some players find it easier to take their soccer game indoors onto turf with a soccer ball and immediately continue playing soccer. To play futsal it requires adapting to a much faster game, a smaller ball and learning a few different rules. Futsal is a separate version of football defined by FIFA and is cited as one of the fastest growing sports in the world in popularity. Some teams, when first trying to play futsal, have done well and have continued to enjoy playing futsal in winter and summer seasons in the North Alabama FUTSAL League. Unfortunately a few teams have tried playing futsal and have found it too difficult for them and have returned to the easier game of soccer, the game they are used to. Moreover, sometimes players have judged futsal solely from their soccer knowledge without trying to adapt to futsal. DO YOU THINK YOU HAVE THE ADAPTABILITY, SKILLS, TALENT AND STAMINA TO PLAY FUTSAL? 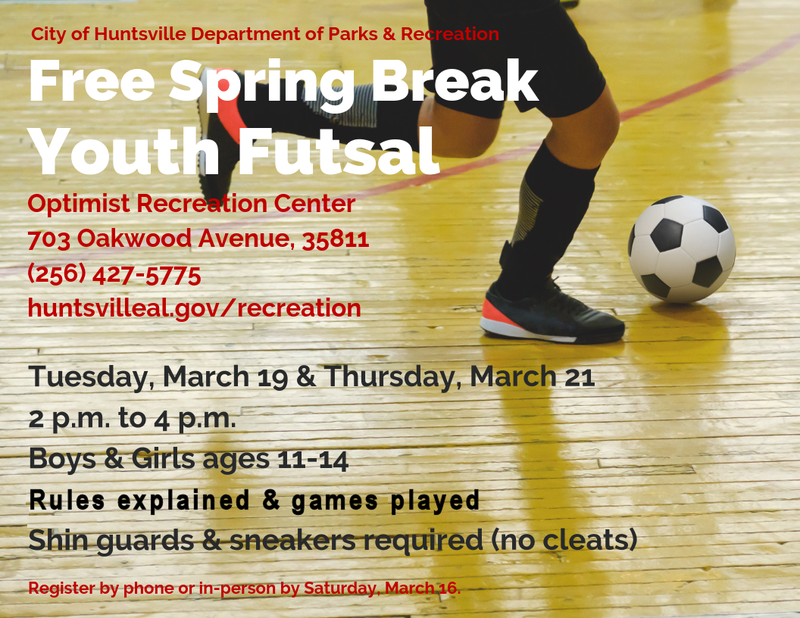 Coming one week from today is a free Youth Futsal Camp during school Spring Break. For two afternoons next week youth will be taught quickly the differences between soccer and futsal and then will be formed into teams to play several games of futsal. Futsal is a fast paced, high scoring, exciting version of soccer that is growing in popularity all across the U.S. If you coach kids 11 thru 14 years old, please tell them about the free Spring Break Futsal Camp described in this email. Also, please share this info with other coaches, managers, players and/or parents that you think would/should be interested.